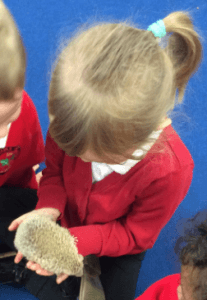 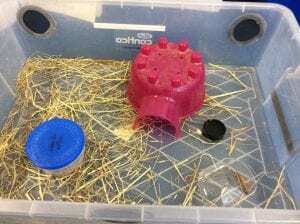 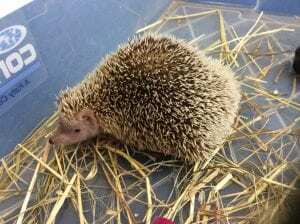 Today Nursery and Reception had a special visitor from Eugene the Tenrec Hedgehog. 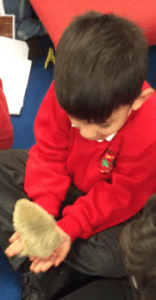 Mrs Savage brought her Nocturnal pet friend to visit all the children. 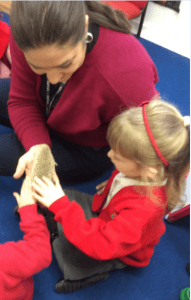 It was very exciting and we learnt about what food she likes eating and had the opportunity to hold her or stroke her if we wanted to.